With the help of state incentives, Mojave, Calif.-based XCOR Aerospace, one of the leading developers of suborbital spacecraft, is considering launching and landing one of its two-seater Lynx rocket planes from KSC’s shuttle landing strip and establishing production in Brevard County. 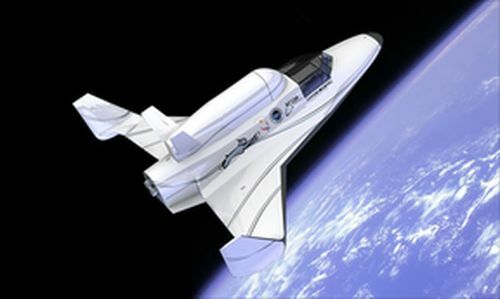 Space Florida, the state’s aerospace economic development agency, recently won approval to triple incentives available to XCOR from $1 million to $3 million. The company says work assembling the Lynx — which could fly multiple times daily — and engines built for other rockets could create 340 local jobs over five years, and attract entities that fly suborbital payloads. “We certainly feel that such a transition will occur as well to attract things like the small satellite manufacturers and the researchers that will be using our vehicles, and others once we are located there in Brevard,” XCOR Chief Operating Officer Andrew Nelson told Space Florida’s board of directors Feb. 18. XCOR officials have made it clear in the past that although they do their testing in California, they would fly commercially and build vehicle out-of-state. The regulatory climate and high tax rates in the Golden State make it an easy place to do testing because you are losing money. Once you start making money, it’s easier to go elsewhere. CORRECTION: A paragraph concerning different levels of financial incentives offered to XCOR has been removed. XCOR informed me that my interpretation was wrong. They would not go on the record at this time concerning the specifics of the financial incentives. I would have crossed it out, but that function doesn’t seem to be working right now. Clarification: XCOR has said nothing about pulling out of California. They are happy to test there. And Mojave is a great place to do that work. Currently they employ somewhere between 20 and 50 employees. To create 340 local jobs in FL sounds like oversell for such an intrinsically small company. They must be counting ripple employment effects, such as burger king employees that service tourists who come to watch their flight operations.